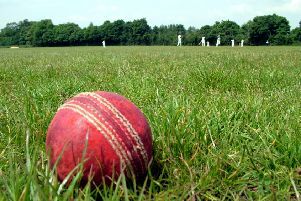 The destination of the championship is back in the melting pot after second placed Swalwell sent leaders Shotley Bridge crashing to a heavy defeat by 147 runs on Saturday. The Bridge picked up a mere three points from the clash – and are now only eight ahead of Swalwell. The result also brought third placed Ashington into contention by inflicting an 87 runs defeat over relegation threatened Percy Main. The Mighty Acorns are 48 points adrift of the top but McCafferty - who has taken over the reins after Ben Harmison stepped down - said: “We need to concentrate on what we are doing and string four or five wins together and see where we are, going into the last few games of the season. On Saturday, Ashington’s top four batsmen featured as they reached 277-5 after 50 overs. Openers Jack Jessop and Dan Grant both recorded half centuries in a stand of 137 for the first wicket. Ben Harmison (48) and Ben O’Brien (43) shared a partnership of 75 before both fell in quick succession then Jack McCarthy was run out for 14 as the Colliers looked to boost their total in the closing stages. In reply, McCafferty’s men got off to a flying start having Percy Main 0-2 and 25-3, but Fraser Oates and Michael Phillips consolidated with a determined century stand. 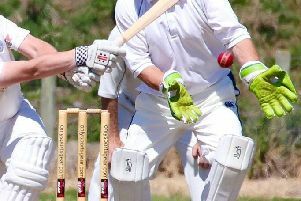 A smart stumping by wicketkeeper Grant off O’Brien saw Oates depart then Phillips’s knock of 76 came to an end when he holed out to Jessop at cow corner off debutant Alex Storey. The latter struck again on two occasions before Paul Rutherford finished the innings on 190 bowling Barry Errington. Callum Storey emerged with 4-39 and Alex Storey 3-8 with one wicket each for O’Brien, Rutherford and the ever economical Ben Harmison who took 1-9 from nine overs. *On Saturday, Ashington are at home to Newcastle City.